A fair or as it is popularly known as ‘mela’ in India brings in the authenticity and the taste of different cultures from different corners of India and serves it to you in a safe and entertaining environment. A ‘mela’ is also a space where you find the happiest faces of kids in India. From the rides and swings to their favourite food, the fun is endless. But there is one more thing, which we may not relate to during these melas, it is the germs and possibility of kids getting exposed to diseases. To combat this problem, McCann Worldgroup India came up with an innovative idea for Dettol Handwash to make kid’s hand germ-free. Organized in various fairs across India, Dettol designed an activity to make the process of hand washing a fun-filled activity at these melas. They created a unique solution formulated with Dettol Handwash . 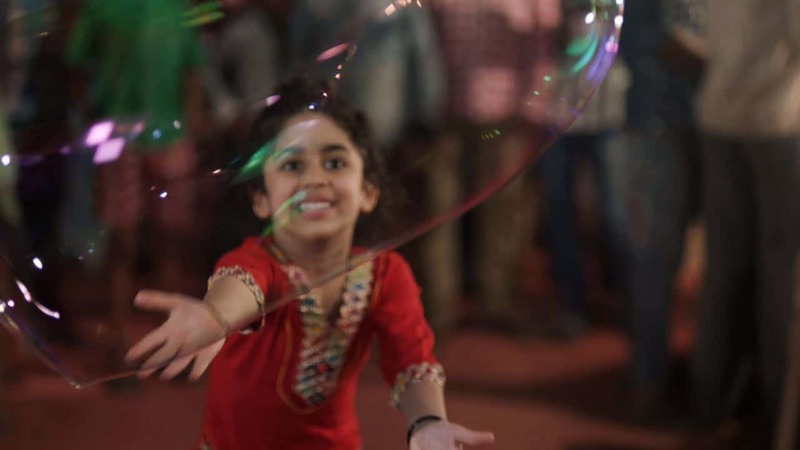 When the children burst the bubbles, their hands turned soapy and it created a lot of cheer. Further, Dettol placed their representatives to wash their hand. To make this more fun and relatable, Dettol also created bubble guns for children, so that this good habit continues at their home as well. A senior Pediatrician in Mumbai, Dr. Shailesh Gupta, quoted, “It is difficult to make children wash their hands. And due to unclean hands, kids are susceptible to many illnesses. With the successful implementation of the idea, Dettol is now planning to make this activity a regular feature every year in over 100 fairs in India. #DettolGermbursters #germbusters. it is very nice product and leaves you feeling fresh and clean!! There is a vast potential for most hygiene products.